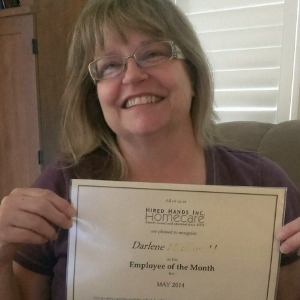 Darlene is Our Tri Valley Home Care Provider of the Month! Darlene you are really GREAT! Thank you for all your hard work and dedication.